Why do weddings have a best man? Historical reasons why weddings have a best man. Ok so we have looked at why brides wear white dresses and why brides have bridesmaids, let’s now look at some of the traditions surrounding the groom. Let’s start with how the tradition of having a best man came about. OK, there are a number different, though not unrelated explanations as to how role historically came about. One suggestion is that the tradition of a ‘best man’ has its origin with the Germanic Goths, at a time when it was customary and preferable for a man to marry a woman from within his own community. The problem came about when men outnumbered the women and the availability of eligible women was in short supply. Men, wishing to marry, would have to seek out and capture a bride from a neighbouring community. This of course this was rarely an easy task to achieve so often the bridegroom to be would take along a male companion, his best friend to help. Our custom of the best man is a throwback to that two-man, strong-armed tactic, for of course the future groom would select only the best man he knew to come along for such an important task. A further suggestion is that it is a tradition that springs from Anglo-Saxon England. During that time a groom would take along his most trusted and strongest friend (his ‘best’ man) to help him fight any resistance from the bride’s family. 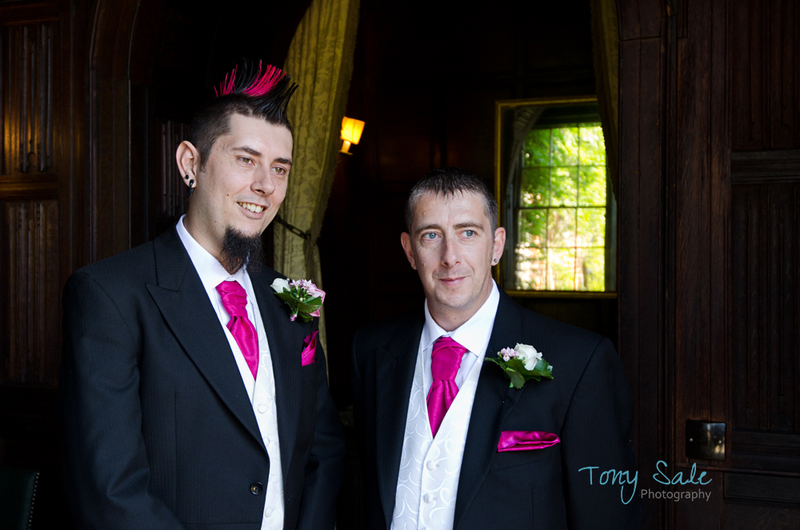 (Similar to the Germanic Goths suggestion) The (best) man would also walk up the aisle with the groom and stand by to ensure the bride could be properly defended during the ceremony. (See further post on why the groom stands to the right hand side of the bride). A more recent and pragmatic interpretation is simply this; the best man is the groom’s best man, not the brides. It’s like saying a dog’s a man’s best friend, of all of the groom’s friends, the bride should be the best lady friend, and of all men, the best man is the groom’s best male friend. 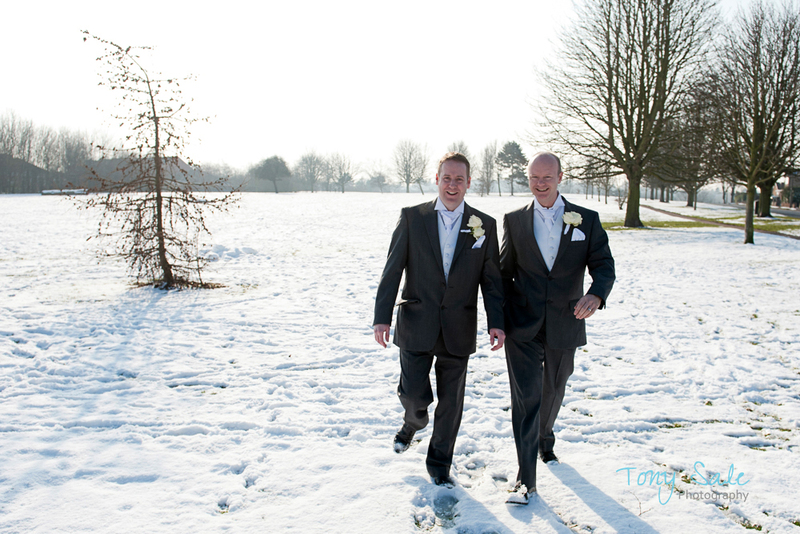 Is the traditional role of best man dying out as grooms seek more than one to take on role? A report I read in the Telegraph (2012) suggests this may be the case. A poll carried out for the report showed that 32% now choose at least two men to carry out the task while among 20-to-30-year old husbands-to-be the figure rose to 46%. 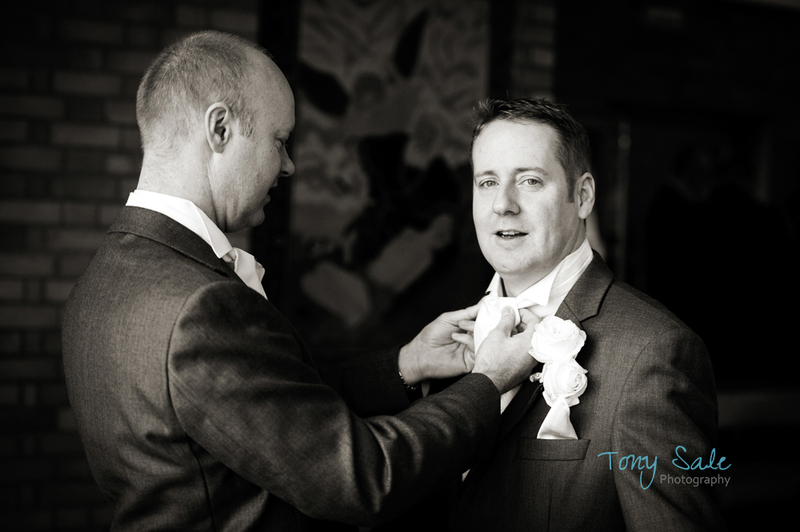 Having more than one best man can have some practical benefits, enabling the daunting responsibilities to be shared. It can also enable a groom to avoid making a tricky and potentially upsetting choice of one good friend or family member over another. 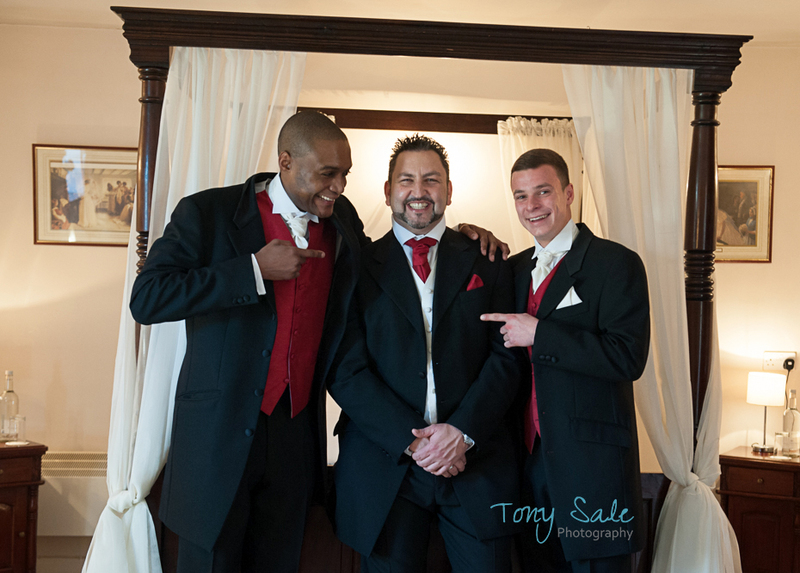 I have certainly photographed a number of weddings where the groom has chosen to have at least two best men. This has certainly helped to avoid any potential conflict where perhaps the groom would have favoured a genuine close friend whereas the family wanted him to choose a brother or cousin. It has also allowed grooms to avoid having to pick one man out of their two or three best friends. Equally I have photographed wedding at which the groom has chosen just one best man who unfortunately has turned out to be somewhat of a disappointment! Constantly failing to undertake any small tasks the groom has asked of him and having completely failed to prepare any form of speech, even refusing to stand or say anything.